There are some moments when I just can’t make a decision. This is one of them. 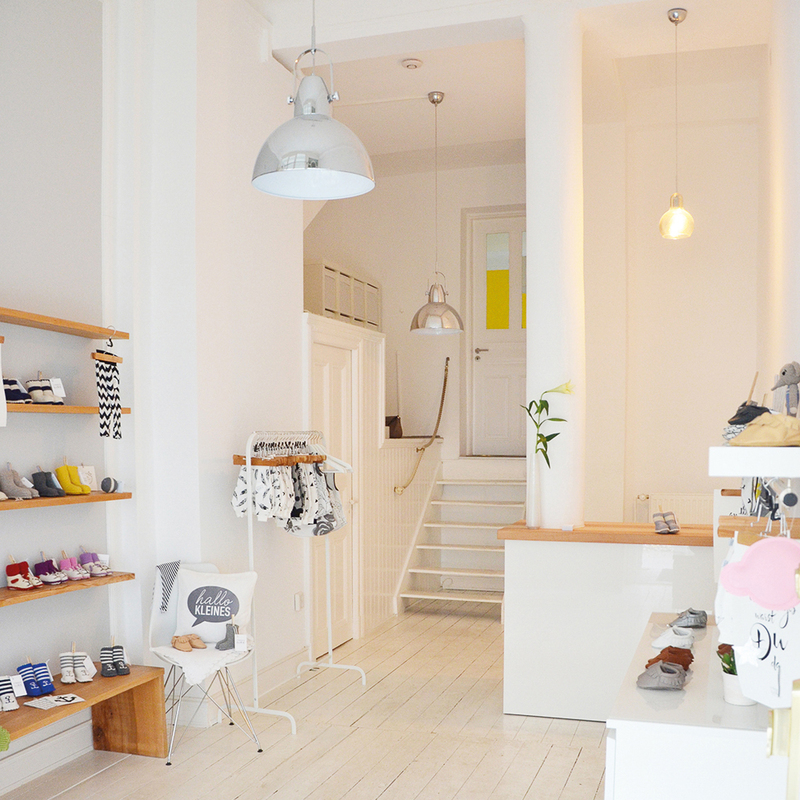 I don’t know what’s more impressive: the enchantingly airy, lovely kids store on Bellalliancestr., the adorable moccasins I bought there, or the so genuinely charming owner of the store with the fitting name, "Unique Love." Here, everything is one-of-a-kind and designed and produced with plenty of love for the little ones: endearing knit boots, casual bloomers, handkerchiefs, pacifier bands, and even cups, pillows, and prints. All conceptualised by designer and mother-of-two, Antje Arik. The production is a family business. The mother-in-law and aunt knit, the sister sews, and the husband keeps himself free to help here and there. What began with handmade gifts for friends is now a dream come true for Antje Arik. In her store in Eimsbüttel, she sells her own products exclusively, without kitsch and useless junk. Stylish and modern. I loved the moccasins most. Together with an orthopaedic shoe designer, Antje Arik developed and produced the cute booties with the finest handiwork and 100% organic leather. From Bahama-Creme to Elephant-Grey, they’re available in 11 colours and up to size 25. My little guy will be the star of his toddler group and I have a really good feeling knowing how much he loves being on his feet! At least one decision was made today: this wasn’t my last visit to Unique Love, and I can’t wait to give my dearest friends gifts from such a tasteful store for their own kids!